The blue sky is peaking through white curls of cloud, and the sun is laying it's head on the rooftop. There are buds poking through tree branches, soon to become leaves, and the days are bright with Spring air. This is my favorite time to be alive. Yesterday, I counted on the first robin of the year. It was standing erect below the May Tree, probably looking for honey suckle berries or earth worms. When I was little, me and my dad would look out for the orange breasts and the golden beaks of this migratory songbird. We would count them well into the Summer months. Some years, we counted more than 30 robins. I guess it was our way of welcoming the important things found in Spring time. Some people spend their lives imagining the world falling to the worst way, some see half empty jars of jam, others, like myself watch the way of the songbirds and know everything will be alright. When I think of the robins eating beetle grub or using worm castings and mud to create a home, I can't possibly wander to thoughts of the world ending. There is too much beauty in the outside world for me to look into the beliefs of some humans. "The world will end in a day?" There is too much open sky, too many rivers, and too much history in our buildings to believe such a thing. After all, we aren't the only species who have made a home here. And. . . . If the world were ever to fall apart, like a bug in a sandstorm, I'd be satisfied knowing I had listened to the birds, ate sandwiches made by loved ones, picked berries by the ocean, and learned to ride a bicycle. I've seen rainstorms, sun sets, and the blushing of a cousin on her birthday. I've heard the sounds of trumpets, church organs, banjos, cellos, and classical guitars. 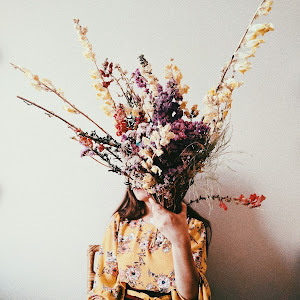 I've had flowers picked for me, I've been the recipient of letters, and above all, I've laughed while laying on the belly of a stranger turned companion. There is much to breath for and if I had it my way, the earth and it's inhabitants would live forever, but if we don't, whether the end comes in May or December, I will not worry. I will only live the way of the second hand on a clock. Live for now, for now, for now. Tomorrow, there could be collisions, May tree's on fire, buildings broken down, and wounds on our bosom. But what is the use in weeping for what hasn't happened yet? 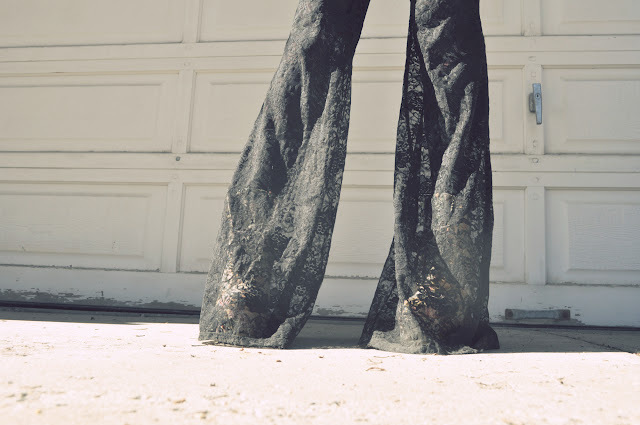 For years, I have dreamed of black laced bell bottoms. Months ago, I found these ones at Urban Outfitters for $60. If you look at the price tag, and understand my frugality, you'll know how much I wanted these pants. Most days, I would never spend more than $30 on a pair of bottoms, but these ones had my name etched on the lace! Now that Spring is here, my legs can finally wear them! Anyways, I hope your week is pleasant you beautiful thing you! I'll spend the week anxiously waiting for packages in the mail. 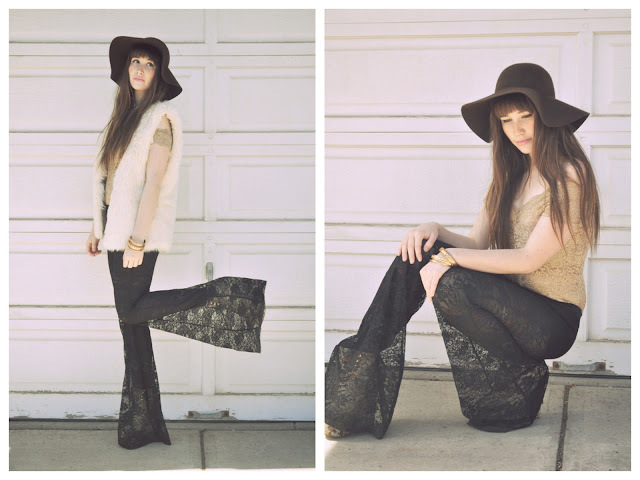 Loving the lace bell bottoms! The bell bottoms look lovely on you. And I really like your make-up in this post! 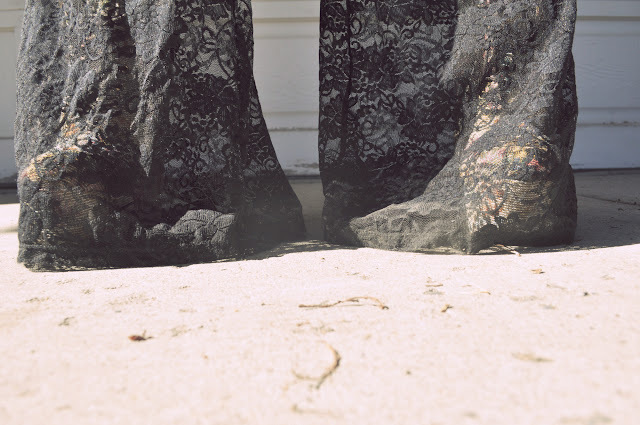 Those lace bell bottoms are fabulous, girl! AUGHHHH those pants just blew my mind. AMAZING. Adorable pants. Also I think you and I were potentially sisters in another life. Thank you for expressing in words the thoughts that are buzzing around in my head today. Such great pants, I think they were worth the splurge! They look absolutely amazing on you. You look so tall! youre awesome! 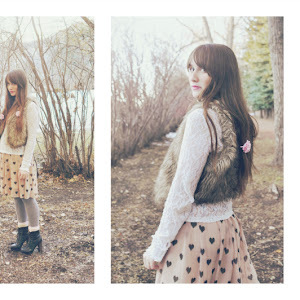 i love the fur vest! Thank you so much for delivering this wonderful message! ♥ I have always found myself worrying about things that have not happened yet and that might probably never happened at all - and now I wonder how I could ever do that. How could I spoil every beautiful, magical day with such dark thoughts that linger in the unknown? I thank you so much for enlightening me with your view of the world - it resonates so much with me that I cannot comphrehend why I have not always thought like this. awww Amy! YOu look gorgeous! THe outfit is stunning :) really am loving the trousers!!! You are the sweetest, most positive person...this post literally made me smile for the first time today. :) Thank you so much for being a beautiful, amazing ray of happiness and cheer. coolest.pants.ever. 60 bucks really isnt that bad for that much awesomeness. love your hat pretty lady! You're such a beautiful writer, for a minute I was completely swept up in your world, it was lovely. 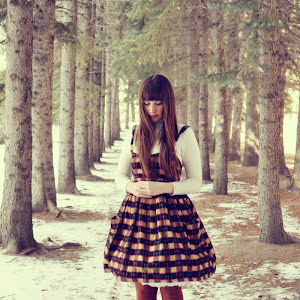 Love the vintage inspiration of this whole outfit! You are so gorgeous inside and out! some music DO get better in acoustic! 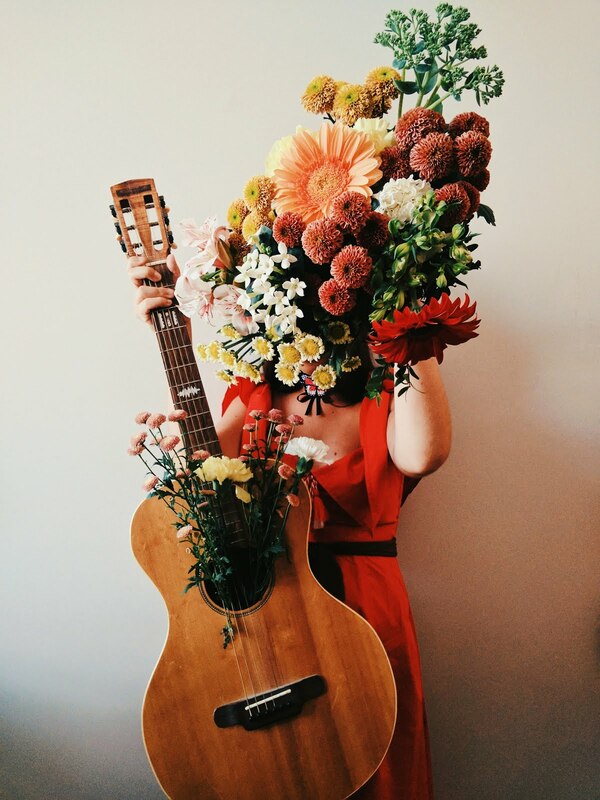 I looooove your blog, and your photos and your style! thank you so much for your coment!!! following you now, feel free to do the same!!! This outfit is GORGEOUS! I Love the trousers! What lovely lace bell bottooms! They're so unique! This outfit is so lovely and so stylish! Love it! You are so poetic and adorable. I do want to live for now! Love this outfit! You pull it off so well! Newest follower! I'm so glad I found your blog! 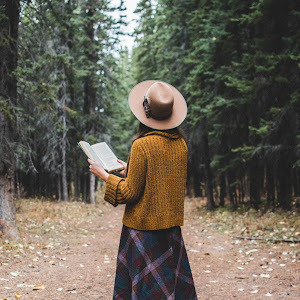 I'm trying to find fellow bloggers in Alberta! What an incredible look, so very 70's. 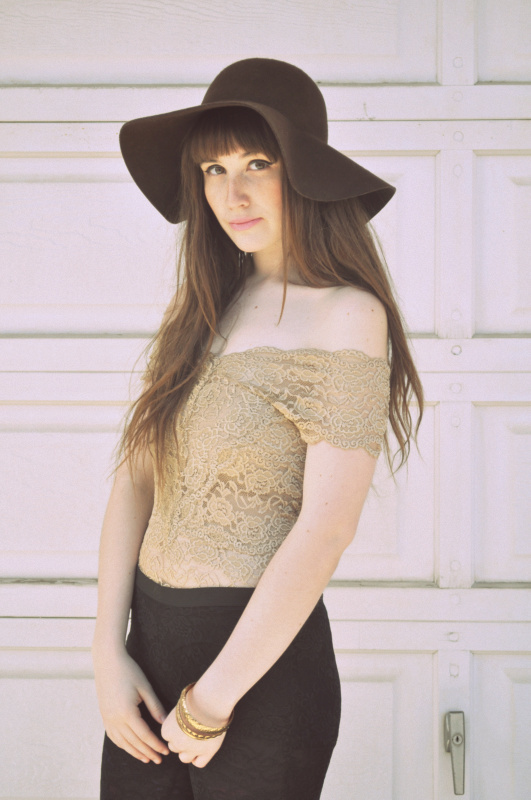 Your style reminds me very much of Stevie Nicks with the hat, lace and the faux fur. Truly enchanting!